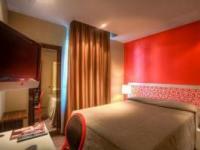 Very very clean room and nicly decorated environment all over the hotel. Nice staff - helped us on any question. 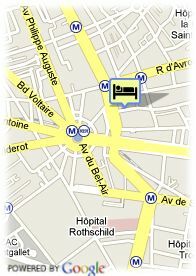 Good location - close to the Nation metro station. The room is really too small, even in European standards. It was impossible to open the suite case. The closet was too small. Impossible for 2 people to move freely in the room. Maybe OK for a single person.